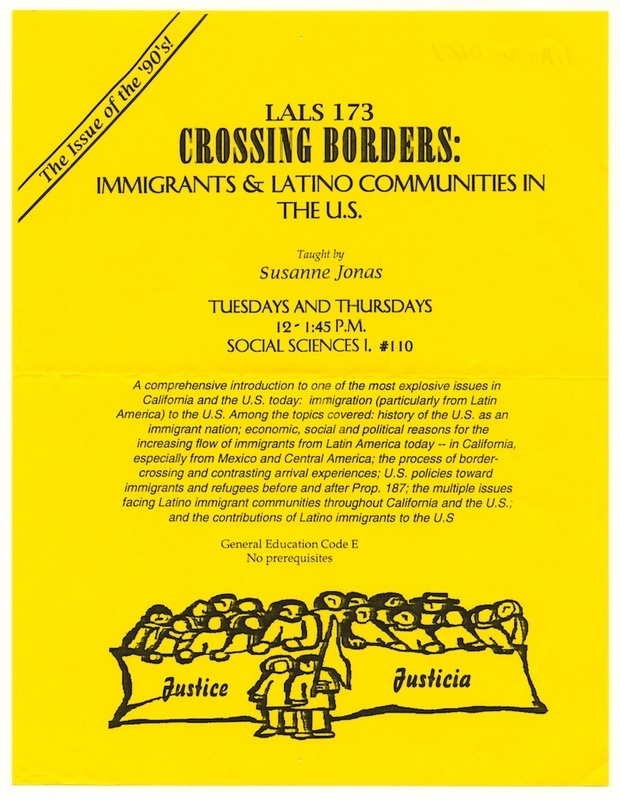 LALS 173 Course Flyer: Immigrants and Latino Communities in the U.S. Taught by Suzanne Jonas. 1990s. “Crossing Borders (class),” Digital Exhibits, accessed April 20, 2019, https://exhibits.library.ucsc.edu/items/show/1869.